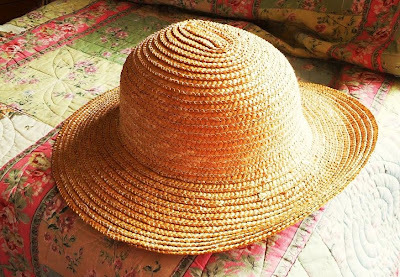 Each year I buy a new straw hat. I found this one at an op-shop the other day...and then i got home and mum had recycled this red ribbon from flowers left at her work. this hat has a very 1920's/1930's vibe to it when it's being worn. 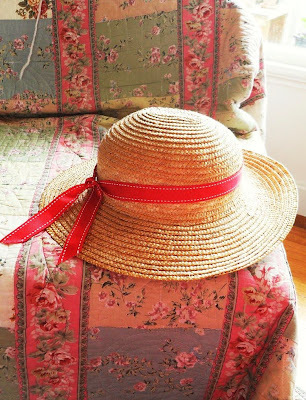 It's pretty daggy and that's knid of why I like a good straw hat. Love it! Well done and hope you get some sunny days to wear it! It's been raining non stop here!